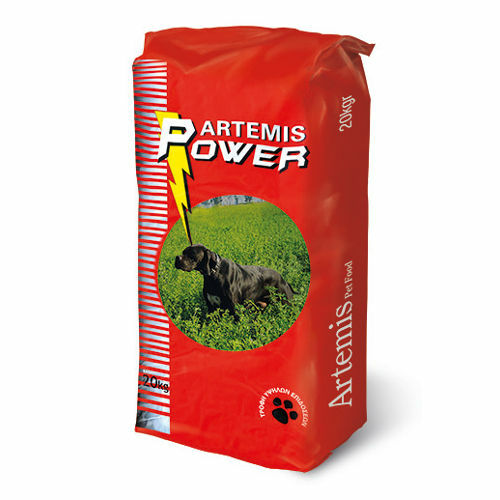 The Artemis Power is maximum energy food for dogs and provides the essential energy, force and resistance in your dog, giving at the same time shinny coat. Artemis Power is manufactured so as to provide the essential energy, force and resistance in your dog, giving at the same time shinny coat. 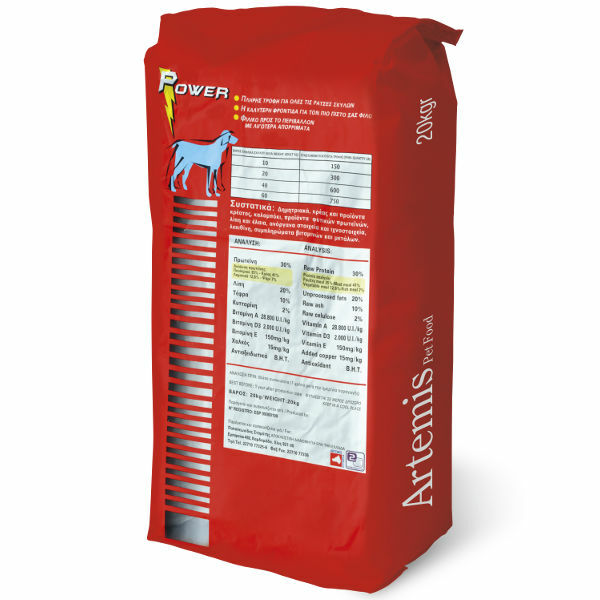 The particular recipe of Artemis Power contains proteins 30% (7% fish), 20% greasy, vitamins A, C, D, E as well as antioxydant protection, guarantees better health, most optimal natural situation and inhexaustible the dog. This specifically drawn food of rich caloric value, covers all the alimentary needs of dog, while it is exceptionally digestible, with decreased wastes without odors. The Artemis Power covers the particularly high needs for dogs that work or are contesting, while it increases the mascular power and at the same time removes the fatigue.